We've seen a lot of Cam Newton in the run up to Super Bowl 50. And why not? He's young, dynamic, crazy talented, and insanely fun to watch. And win or lose on Sunday, we're going to be seeing a lot more of the Carolina Panthers QB in the months ahead —and not just on the football field. 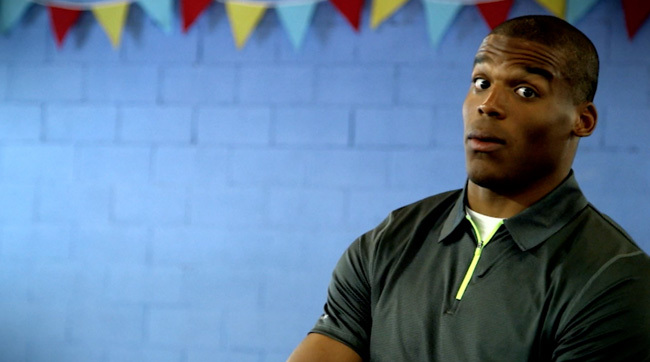 Later this year, Nickelodeon will debut a new reality series where Cam helps kids realize some of their biggest (and wildest) dreams. The working title of the show is I Wanna Be and it will run for 20 episodes. “Time in the spotlight has made me realize the importance of creating positive messages to inspire the next generation," Newton says. "I’m very passionate about mentoring young people, and this show will be the perfect opportunity to help talented kids get the chance to pursue their dreams."